Our lives today can be full of stress — and environmental toxins. Can something like Dr. Jordan Rubin's SUERO CLEANSE help? Yes, I believe so. Believe-it-or-not, there are over 100,000 toxic chemicals in our environment, and we interact with them regularly. Creating a lifestyle for yourself and your family centered around gentle daily detoxing, and short periods of cleansing are essential for good health in today's world. YIKES!!! 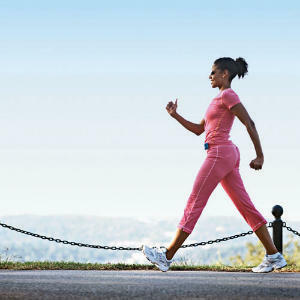 Researchers tell us that the average person is carrying a minimum of 700 known toxins in their fat tissues, brain, liver, blood, skin, as well as digestive system and other organs. How many contaminant agents are you around every day without realizing it? Household cleansers, lawn and garden products, personal hygiene products — as well as food, drinks, even the air we breathe all have contaminants in them. As you can see from the video above by our friend Dr. Jordan Rubin, the Suero Cleanse is about the simplest, most effective way to cleanse and detoxify the body — quickly! Jessica lost 8.8 lbs in 3 days!!! “I just wanted to let you know I am not an overweight person at all…thought I wouldn't lose much on the Bronze cleanse, but I lost 8.8lbs in 3 days! “I have so much energy I am hooked! This is the best product I have ever tried! History going all the way back to Hippocrates! The Suero Cleanse comes with a booklet by Drs. Jordan Rubin and Josh Axe, which walks you through the entire program — and provides a fascinating history, too. A refreshing and replenishing beverage, SueroViv has the perfect potassium/sodium blend, so it’s a tonic elixir that helps detox and flush out stagnant waste from the body – and since it's loaded with healthful probiotics, it’s a great living beverage. SueroViv has a full spectrum nutrient profile, essential oils, and probiotic cultures, with Reign Supreme mountain spring water and organic fruit juices and Beyond Organic WHEY from their 100% GreenFed cattle. Beyond Organic’s Suero Viv is a fermented whey drink, flavored with organic essential oils, and is a new spin on an ancient drink. The ancient Greek “father of medicine” Hippocrates prescribed whey to his patients, and it’s often referred to as the gold standard of protein. It has also been called “healing water” and all traditional cultures consume it. Swiss health resorts in the 1700s-1800s were built around a whey-based health tonic. Now Beyond Organic has revived an old standard. AND IT WORKS! Ready to Start Your Suero Cleanse-ing Journey? 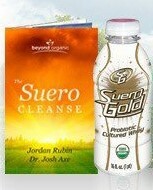 GO HERE to see the Suero Cleanses available. It comes with a booklet and whole plan to get you started (the Silver Suero Cleanse is my favorite!). 6 Responses to "Why Cleansing is Vital for Your Health"
If I am sensitive to whey , is this not good for me, or is this whey different than most whey products out there? The answer has more to do with the type of cattle. Jordan’s are beta 2 casein cattle (most of US is beta 1 casein — known as “The Devil in the Milk” – see book by same title). Even people who are lactose intolerant have told me THIS dairy and cleanse works great for them. I am dealing with inflammation from the back/hip down the left leg and from what I was told and read dairy causes inflammation and whey has dairy. So how can Suero help me when I’m not getting the full benefits that the culture whey offer? Good question, Ruth. The answer has more to do with the type of cattle. Jordan’s are beta 2 casein cattle (most of US is beta 1 casein — known as “The Devil in the Milk” – see book by same title). 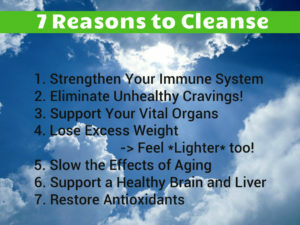 Even people who are lactose intolerant have told me THIS dairy and cleanse works great for them. I am really thirsty on this cleanse but it says not to have any other food of beverages. Can I drink water?? Hi, Lee! Dr. Jordan Rubin says if you are really thirsty, you may drink some pure water. Distilled would probably be best on the cleanse.